Fujichrome Sensia, OM-2S, 21mm lens, a series of three 1/30 second exposures at f/4, tripod. "To create this mosaic of the entrance, I shot three frames and digitally 'stitched' them together in Adobe Photoshop. 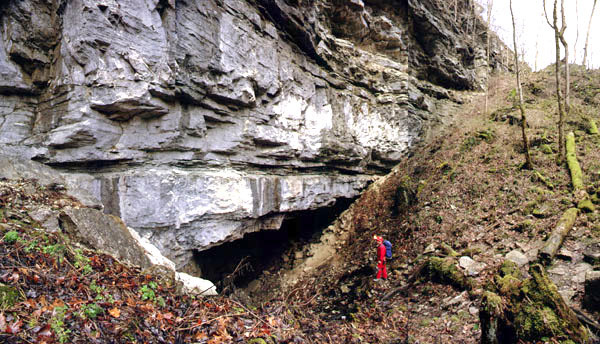 Although the distortion of the 21mm lens made it difficult to exactly match up the frame edges, this image nonetheless gives an idea of the size of the cave entrance."